So what’s coming this week in v1.34? Your feedback has been heard! ‘Neo Tokyo’ is back, and we’ve redesigned it as a Standard Arena. We left the scenery untouched to maintain that futuristic metropolis look, while removing the parallel ramps on either side of the goals. ‘Neo Tokyo’ will be returning to all Playlists, including Competitive, and will be available in Private matches as well. For those who love the original ‘Neo Tokyo,’ we have you covered! 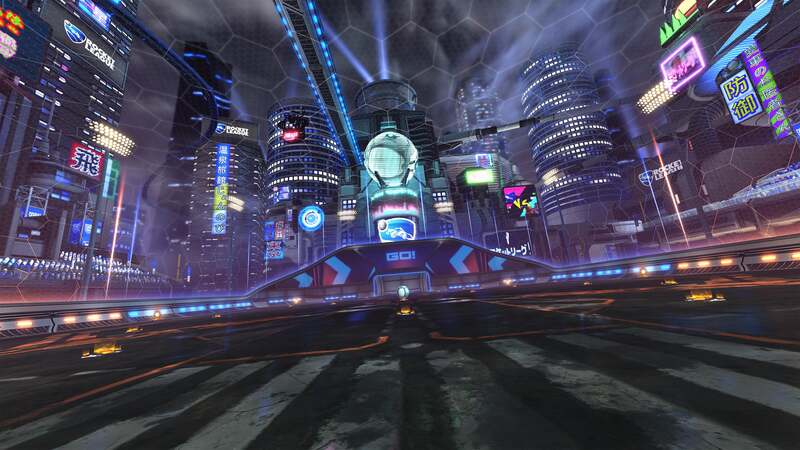 We are keeping the original Arena in Rocket League, but with a new name: ‘Tokyo Underpass.’ This new name/old look Arena will be available in offline and Private matches only for now. 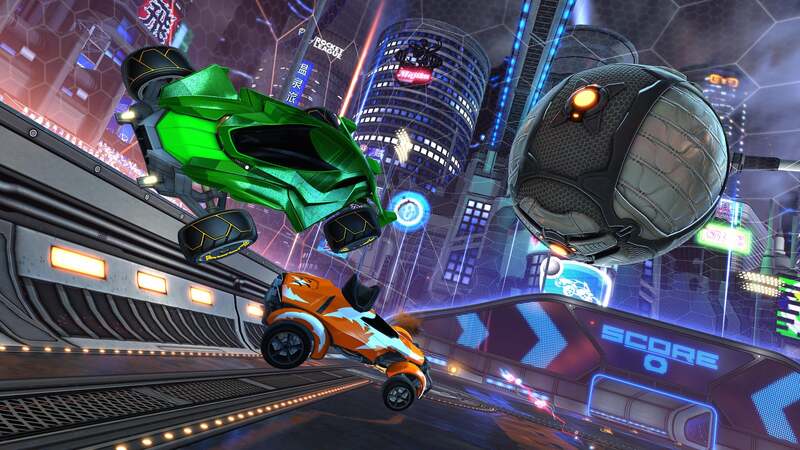 ‘Tokyo Underpass’ is also replacing the original ‘Underpass’ map, which will be removed from the Rocket Labs rotation starting with this update. A New Battle-Car Enters the Arena! Available only as a limited-drop inside our next Crate (more on that below), Mantis is a car many of you have been asking about since our Batman v Superman DLC update in 2016. 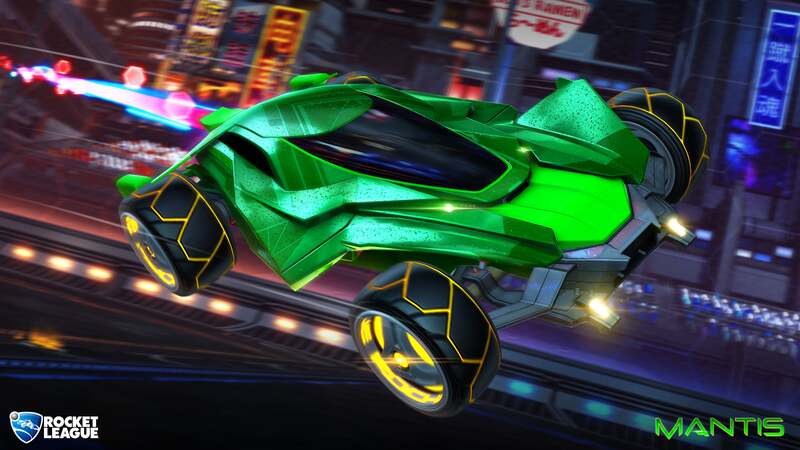 Mantis is fully customizable and has an all-new look, but it uses the same low, flat hitbox, and turn radius as the Batmobile. We’re also including six new Decals with Mantis: Arrowhead, Battleworn, Kaze, Maxx, Roasted, and Uproar. Here's a link for the 4K version of the image above! 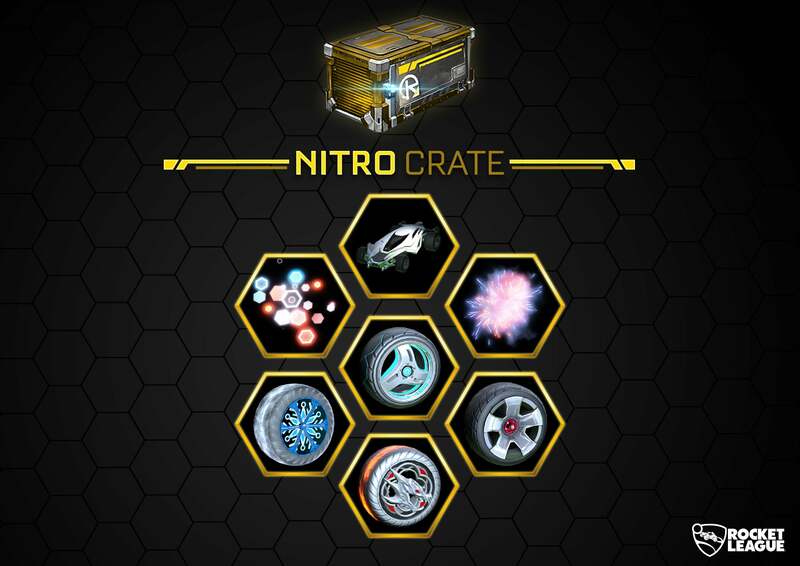 The new Nitro Crate includes the Mantis Battle-Car mentioned above, along with limited-drop Wheels, Decals, Rocket Trails, and Black Market customizations. See below for a sneak peek at some of the included items! This week’s update also includes the framework for in-game items tied to our Zag Toys Mini Pull-Back Racers! Once the blind-bag toys start hitting store shelves in June, Rare and Very Rare Pull-Back Racers will include unique codes redeemable for a set of in-game items. You can find out more about the Pull-Back Racers in our blog post from last week. Curious to see what else is going into v1.34? We’ll have full patch notes up on the blog before release on Wednesday. Stay tuned!